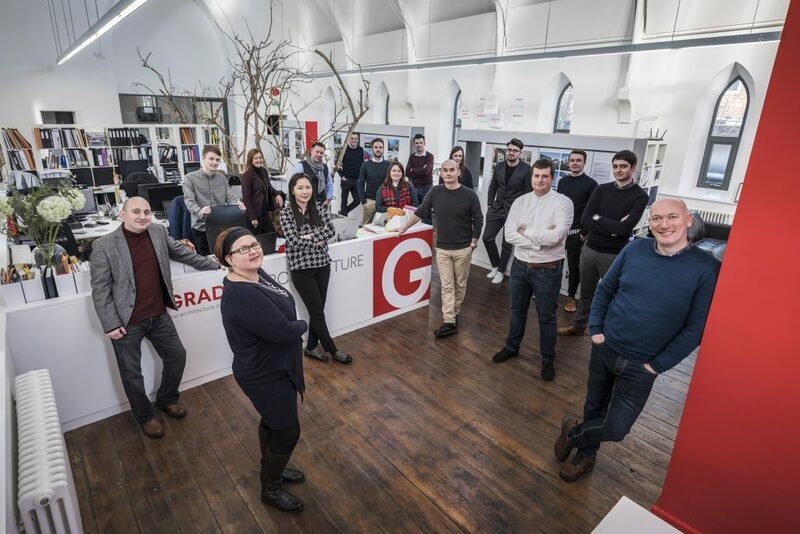 Gradon Architecture, which was launched in 2009 by Graham and Donna McDarby, has recruited three new architects to strengthen its team, bringing the total number of staff across its three studios to nineteen. In 2015, the company became the first British practice to set up in Mongolia and in the same year it also opened a studio in Derry, Northern Ireland. The Derry studio has seen a very successful second year in business, trebling its turnover in twelve months and as a result is relocating to new studios in the city to accommodate additional staff. Graham McDarby, managing director said: “While this year has been difficult at times, it is looking like it may also be one of our best in terms of financial performance and this is largely down to our people, who are our greatest asset. Following our latest recruitment drive we are confident that we have a solid team of extraordinary people in place, who will help drive forward further growth in 2018 and beyond. New projects the firm has added to its instruction book include a number of private and affordable residential schemes throughout Northern Ireland and the north east of England, as well as further residential, commercial, health and wellbeing projects in the London, Dublin, Doncaster and Maidstone. Following the successful launch of the Gateshead Energy centre in May 2018, Gradon is also part of the technical design team for the proposed Newcastle Energy Centre. It is also designing two special educational needs schools, Ashdale in Ashington and Priory in Hexham. New recruits to join Gradon’s Ryton office include James Street, who previously worked at Farrells Architects in London and Aidan Scott, who joins from the University of Dundee. The firm has also appointed Tom Cosgrove, who previously worked at Faulkner Browns and will be joining the Derry office.